Rainfall last weekend ranged from 1.5 to 5.5 inches across Eastern Iowa. Farmers are trying to harvest the crop on high ground before the next round of showers. Wet weather has shut down harvest again! On the bright side, yields have been good. It’s been another week of wet weather. Rain totals vary from 2 to 4 inches. 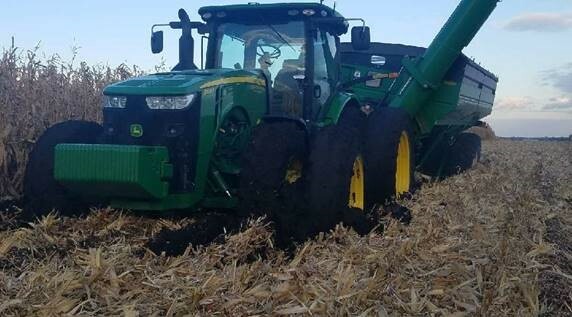 A few farmers tried to combine last weekend. Soybean moisture was 16% or higher, and corn was running 24 to 28% moisture. Everything was just too wet, so once again, harvest is at a standstill. Rain just keeps falling, causing widespread flooding. 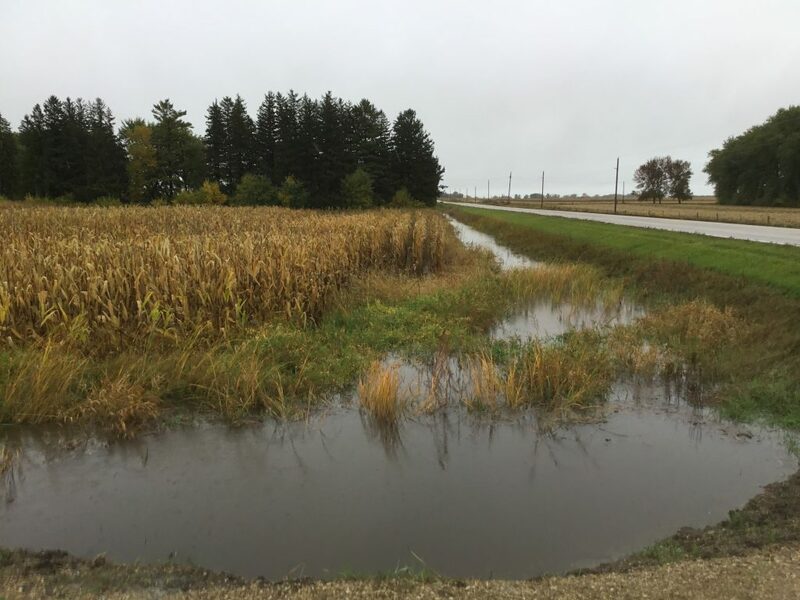 Another 3 inches of rain caused this creek near Lohrville, Iowa, to flow out of its banks. 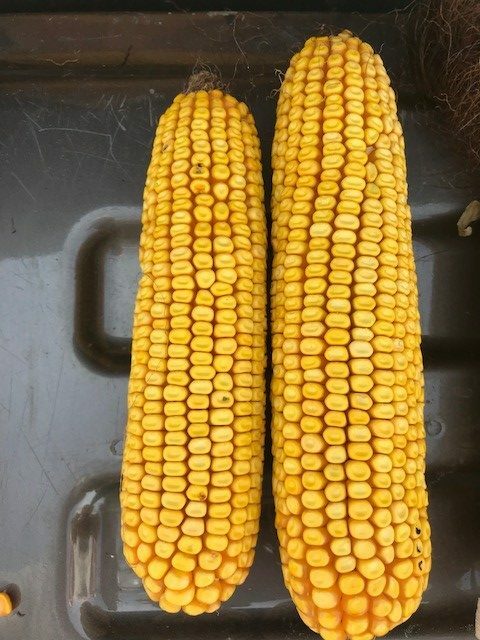 Two of Latham’s new corn hybrids are looking good! We’re eager to get harvest results. The first picture is LH 4795 VT2 PRO RIB and the second is LH 4937 VT2 PRO RIB. 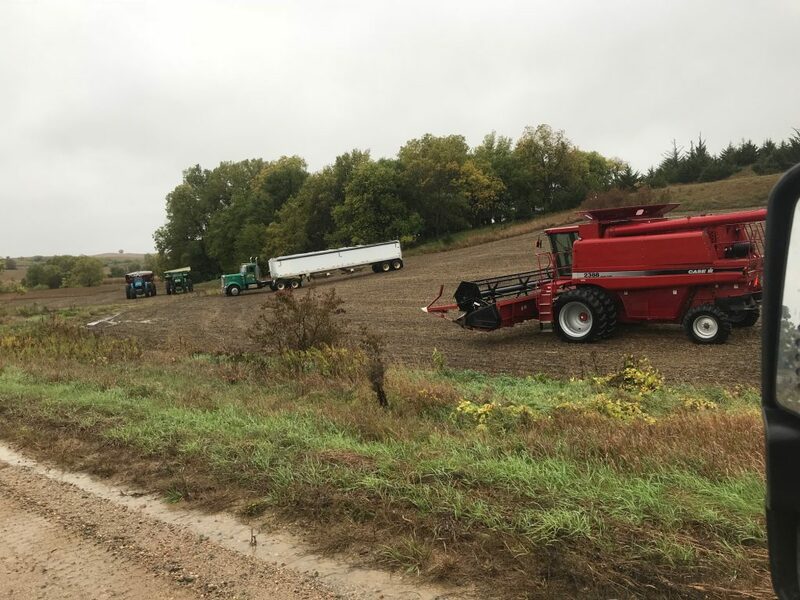 It’s been a battle this fall to harvest soybeans due to all the rain. 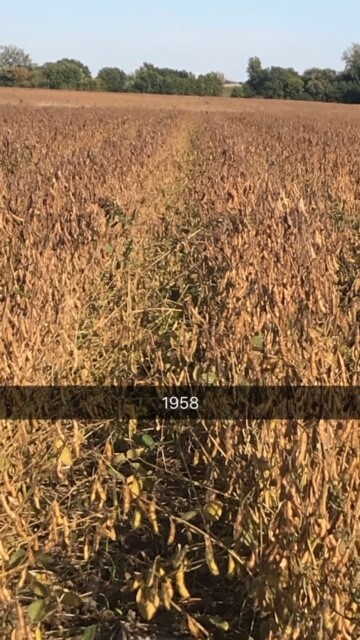 Keep in mind that we didn’t have a good start on harvest at this time last year, but it worked out just fine! The soybean yields that have been reported are impressive! 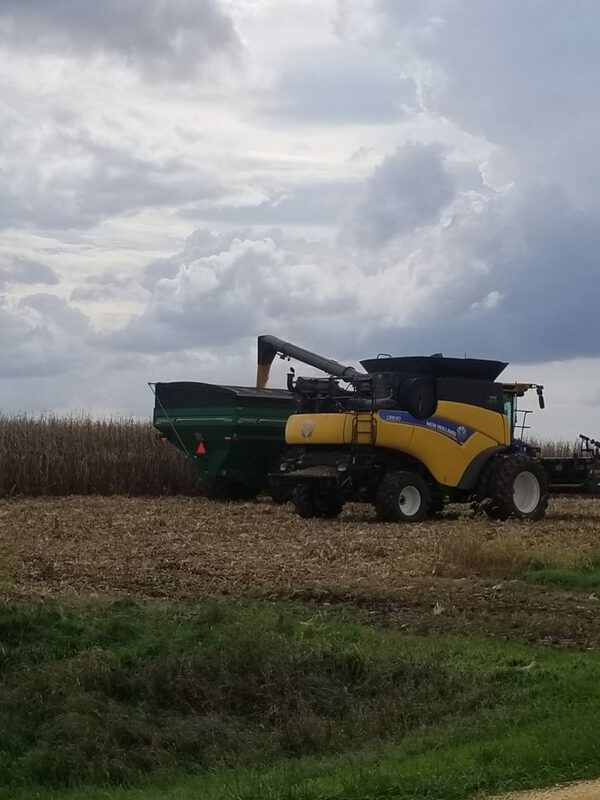 L 2184 R2X and L 2283 R2X both averaged 74 bushels per acre in O’Brien County. 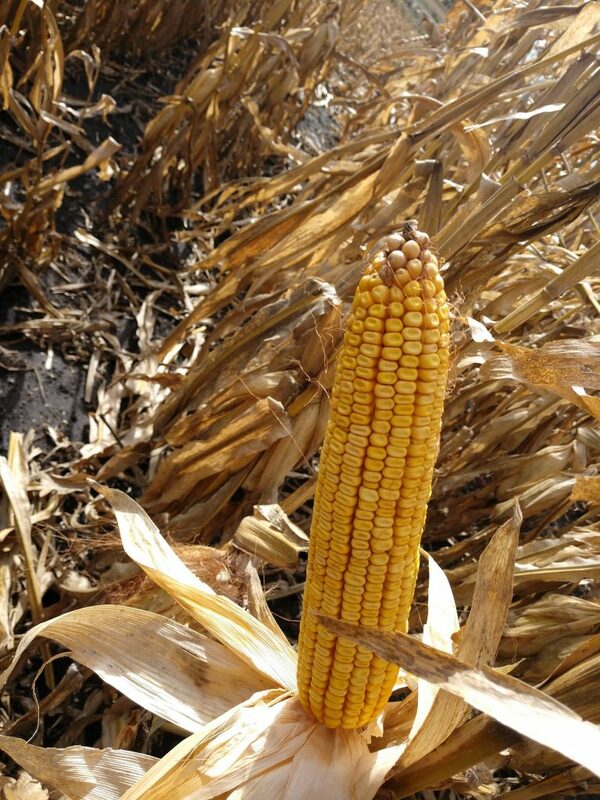 L 1787 LL averaged 83 bu/A in Sioux County. I’m looking forward to more results like these! 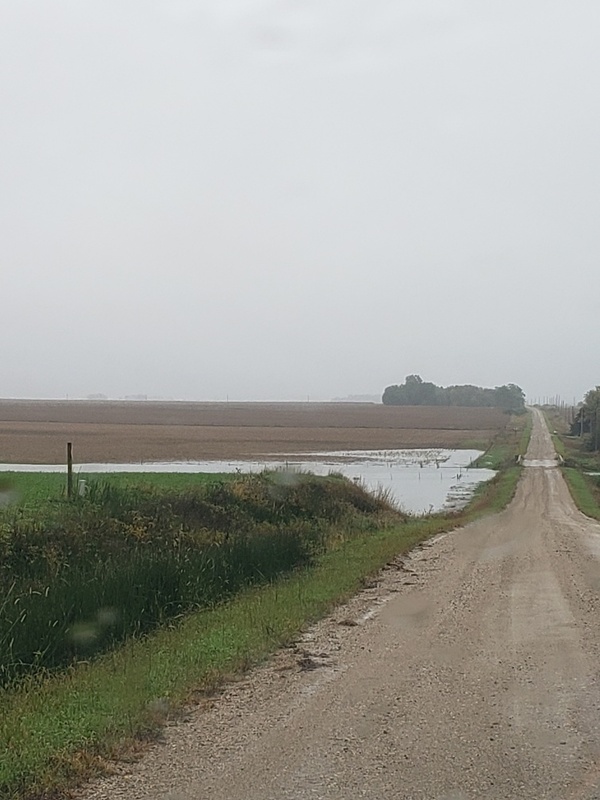 Fields north of Onawa, Iowa, are waterlogged. Since more rain is expected this week, farmers are eager to combine when there’s a break in the rain clouds. As much as we all want to be in the field, we can’t will it to happen. Remember to stay safe! 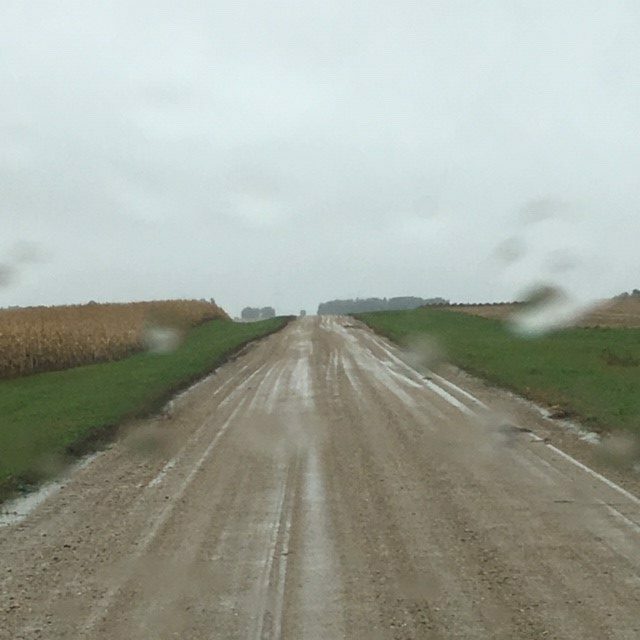 Weather across the area has been unfavorable for harvesting crops during the past week. I was able to get one combine ride in last Wednesday. 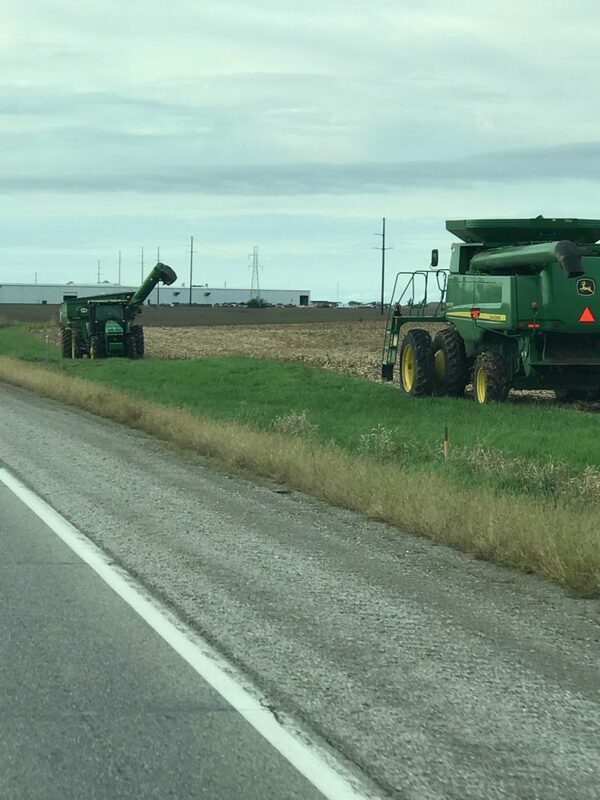 Stalks continue to be an issue across southern Wisconsin, making it crucial to have a plan for harvest when the weather breaks. Take the time to walk your fields in between rain showers to evaluate stalks. Harvest the weakest fields first, capturing whatever yield is there. 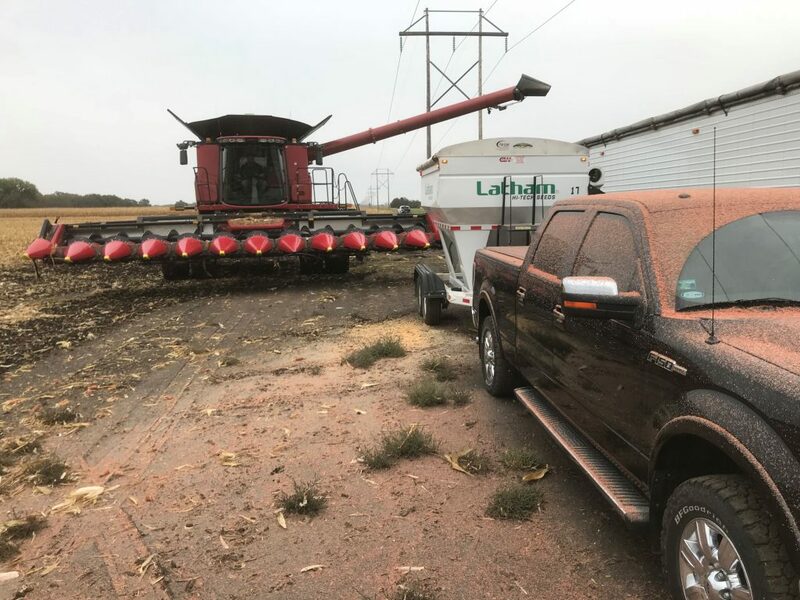 Rain and storms have brought harvest in Northern Wisconsin to a halt. 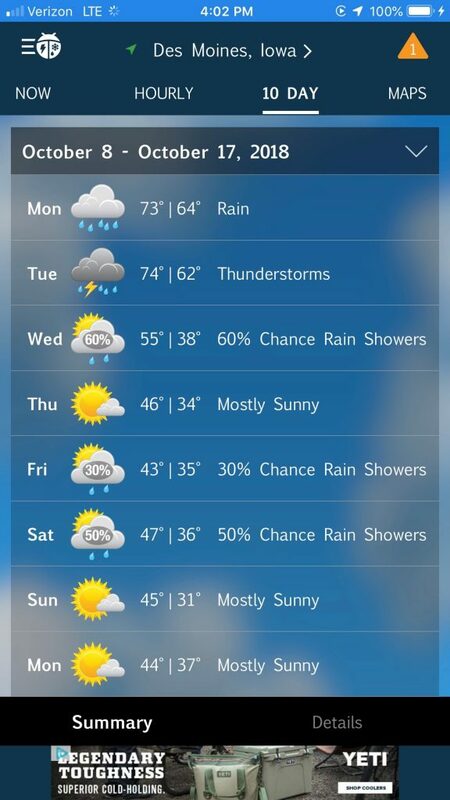 It looks like late next week there’s hope of us getting back into the fields. I’m excited to harvest plots and start looking at the data. I can’t stress enough about the consistency of LH 4454 VT2 PRO RIB. This hybrid has been solid all year and appears to be the most stable/consistent hybrid in the mid-90 RM range. Pictured below is Latham’s 4454 on the right and a competitor on the left. 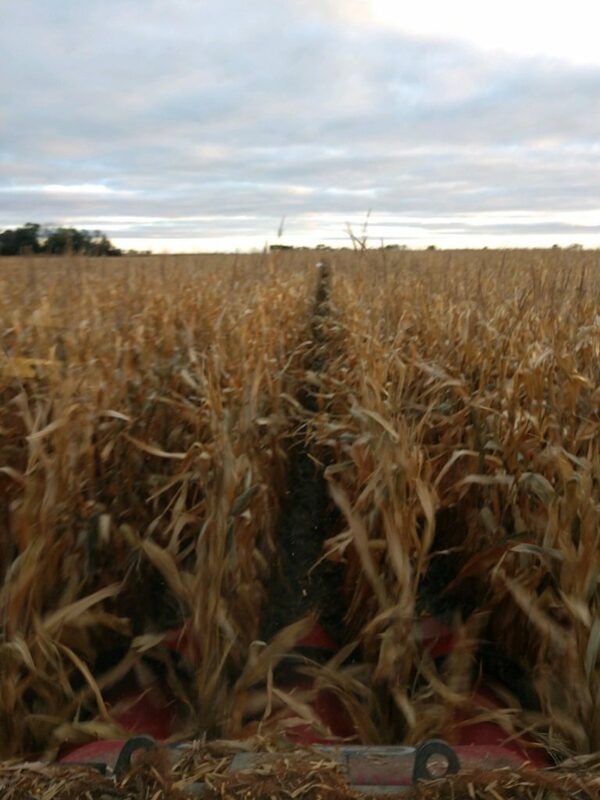 The next pic is LH 5095 VT2 PRO RIB in a plot in Central Wisconsin. This solid hybrid has a long, semi-determinant ear and is very flexible on soil types. 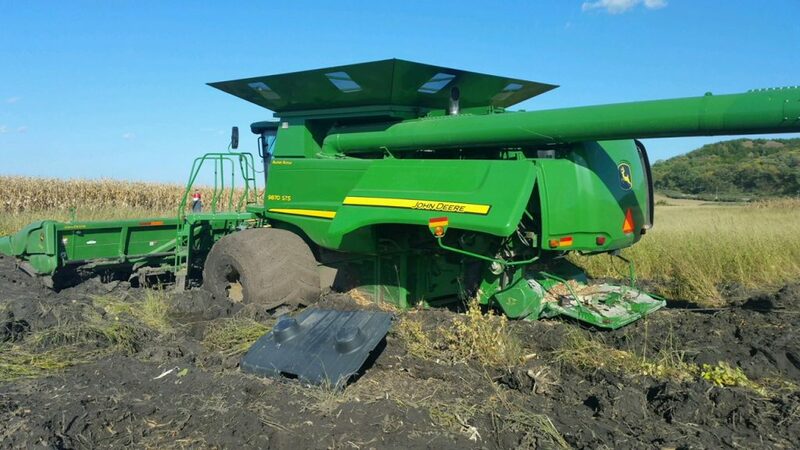 It’s been about as tough of a harvest season as it can get. Farmers are feeling the pressure to work as quickly as possible when there is a break between rain clouds. Just remember to keep safety your first priority! 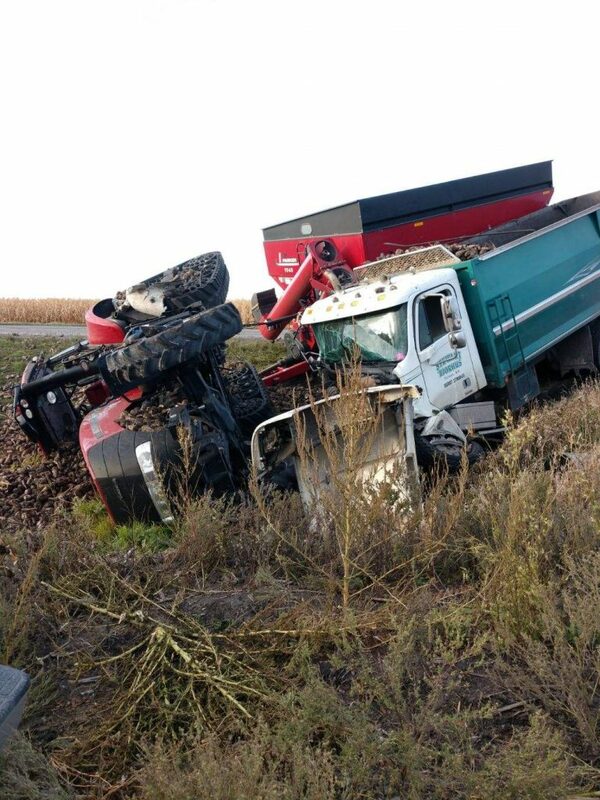 We were reminded about the importance of farm safety last week when this sugar beet truck ran into a tractor and cart near Felton, MN. Rain, rain go away! 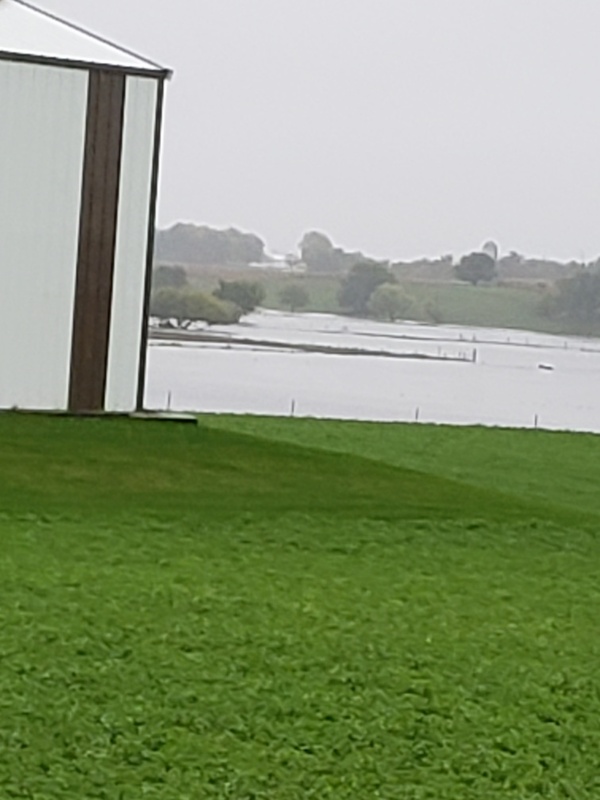 It’s been raining for the last three days in Southeast South Dakota. Rain changed to snow overnight in some areas. The good news is the 7-day forecast looks dry after today. As we get back to harvesting, I highly encourage people to get out of the cab and walk fields. 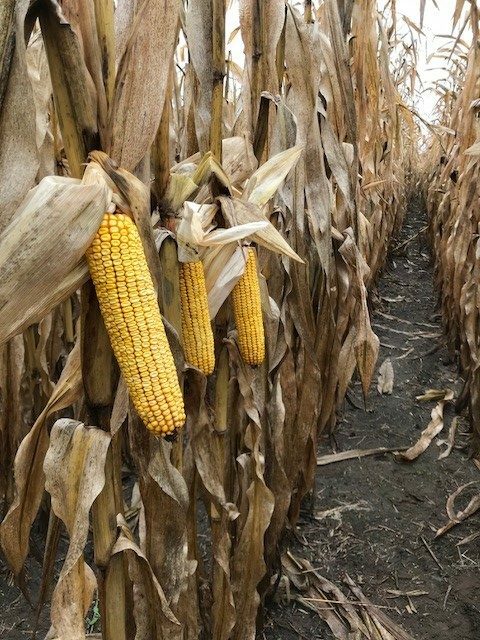 This is the type of year when corn isn’t going to stand long — and not necessarily because of a particular hybrid or brand. The issue is environmental, and it started back in June with near record-setting rainfalls. 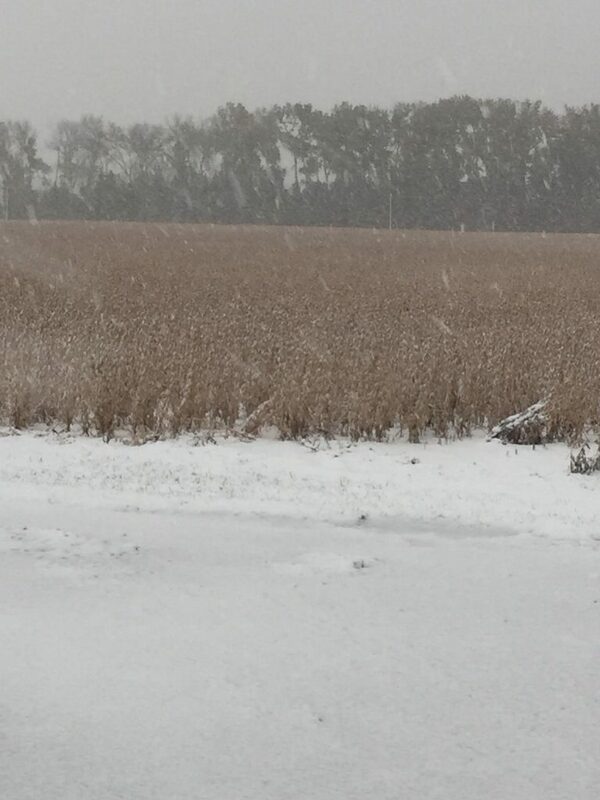 Don’t be afraid to switch to corn while we wait for the conditions to get right for soybeans. While you wait for soils to dry, get together with your local Latham rep to place an order. Early orders can ensure you will a discount on your seed all season long, even if you make changes to your initial order. Very little harvest progress was made again this week, and more and snow are in the forecast. Fortunately, yield reports are very good for the fields that have been combined. 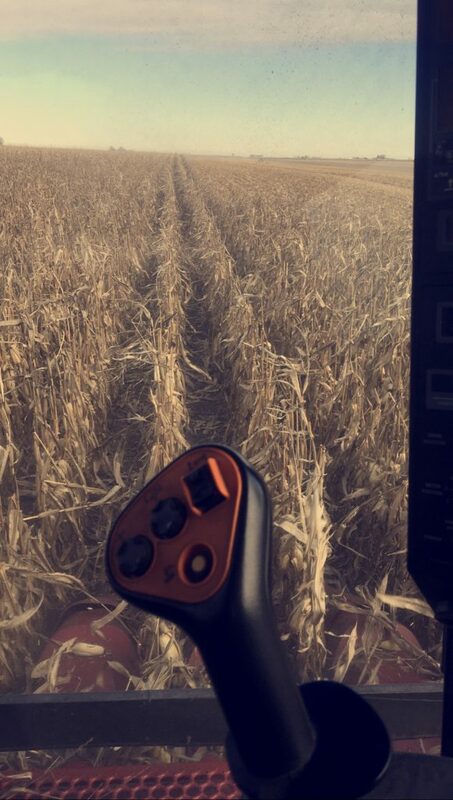 LH 4242 VT2 PRO RIB averaged 207 bushels/acre at 19.2% near Groton, SD. 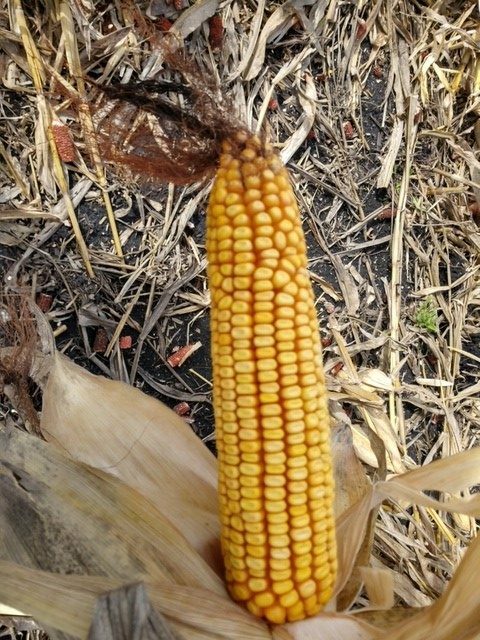 At 237 bushels/acre, LH 4454 VT2 PRO won Doug Abeln Seed Company’s corn plot at Groton, SD. With all the rain we have been receiving, it’s no wonder farmers are eager to bring in the crop. The overnight forecast delivered and we received snow. Plan ahead and practice safe pulling techniques. Chains, ropes and straps may recoil and spring back with tremendous force if broken. Make safety your number 1 priority. Combining continues to be a struggle. Very little progress, if any, has been made since last week. Temperatures are 12 to 15 degrees below normal, and the precipitation is a daily occurrence. 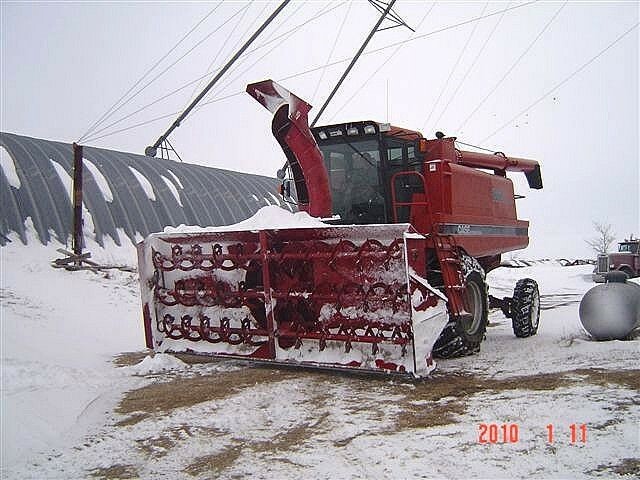 Snow has begun to fall in areas, so farmers might need to switch to a different type of platform. There is hope on the horizon. Temperatures are supposed to warm up next week!